The theme of this horror and weird fiction anthology is camouflage: people, entities, monsters, gods, or even concepts, which pretend to be things other than themselves. They also want stories of duplicates, doppelgangers, and shapeshifters. We all know what happens when the hero saves the day, but what about their sidekicks? Too often the hero is held high and celebrated whilst their sidekicks and comrades are brushed to the side; their own battles forgotten, and their actions airbrushed to nothingness from the tales of victory. They need stories about those sidekicks. 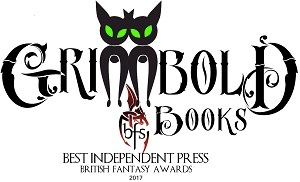 They are also accepting submissions for two other anthologies – ‘Unexpected Heroines’ and ‘Lost Gods’ – see guidelines. Ah, those loveable robots, androids, and cyborgs, performing plenty of chores and dangerous jobs so us humans can remin out of harm’s way. But… What happens when something goes wrong? If your computer has a hardware fault, would it kill you in your sleep? Would your microwave turn on only when it was opened? What about robots living a life of crime, Asimov’s 3 Laws of Robotics be damned? The only real requirements for this anthology will be that a major character must be mechanical or electronic in nature and they’re doing something nefarious.” They for the stories to have a dark undertone but welcome humor. They require fiction about and by disabled people. “We welcome writers across the disability, mental illness, developmental disabilities, neurodiversity, blind, and Deaf spectrums. We welcome those who manage invisible and visible disabilities and/or chronic conditions.” Fiction based on lived experiences is welcome. The lead character must be disabled, blind, Deaf, Autistic, neurodiverse, and/or live with mental illness. Canadians will receive preferred status. Three anthologies with differend goals via Kickstarter. Fantasy, science-fiction, and alternate world stories. For this anthology, they require speculative fiction of character-driven stories that convey powerful messages, and particularly likes the beautiful grotesque, gothic elements, the macabre, and poetic prose.